Okay, my name is Christian Enechukwu. I was born in Ishiagu, Ivo local government, Ebonyi state, on the fifteenth of March, 1955. I’m 63 now. I schooled at St. Anthony’s Primary School, Ishiagu, now Central School, from 1963 to 1966 before the war comes to home. The crisis started in 1966. It was January 15, 1966. There’s a coup in Nigeria, bloodbath coup. The coup led by Chukwuma Ezeogwu which resulted in the death of prime minister of Nigeria, late Abubakar Tafawa Balewa, then they also killed Sardauna of Sokoto, premier of Northern region. They killed, umm, Samuel Akintola, premier of Western region. It was then, there’s a change. We hear military record sound. We asked, “What is happening?” They said, “There is a coup.” We haven’t had anything coup before. They said that the army take over from the civilian. It was in the school. We heard it. Our teacher then, I was in primary four there. Our teacher, Mr. Ikwagu, when we came to school, then he told us that there is a military coup in Nigeria. It sounds strange because I have never hear anything military man before and now hearing that they take over from civilian and it was a bloody coup. Like I said, after the slaying of Samuel Akintola of the Western region and Sardauna of Sokoto of the Northern region, down east here, no one was slain. As we were in school, those who lived in northern region, western region come home and join us in the school. [I saw some people come back home to the East]. My uncle reside at Orobo [Delta State] they came home with his family. They just came back telling us what they saw in the road, how people were slain, how they suffered before they reached home. We feel sad. I feel sad for what happened. When we were three in the family about four or five come and join you, you have to know that something is wrong. But when they come, my mother take care of them- him, his wife and children. [I was very much scared] because that time there’s scarcity of food. People suffered malnutrition. We got this kwashiorkor. 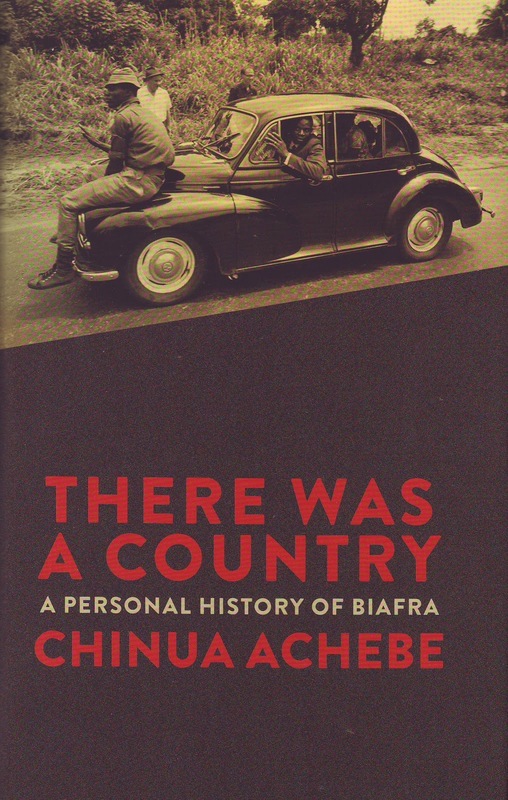 When the war broke, when he [Chukwuemeka Ojukwu] declared Biafra, then the full war broke. When the Biafra was declare itself there was a series of activities happening. When they declared Biafra Republic, it was thirtieth May, 1967. So, the federal government pursued him to come back to stay in Nigeria. Then he [Chukwuemeka Ojukwu] refused because he was powered by the Eastern region House of Assembly, Enugu. We were happy that we have to be our own. We are pretty much over happy. We think that we will succeed normally. The old men [like my father] then were. They don’t understand what is happening. Or they don’t know where it will lead us to. [My father] he hear that many people are being murdered. They don’t want you to see where somebody killed but there was a lot of massacre in the North there. Both the pregnant women and the children and so many. [My father] didn’t know where the crisis will take us to. Everyone want to be liberated but they don’t know what it will cost us. My father said they don’t want war. Let the war stop. Let everybody move around freely. We see a lot of refugees flood into your compound. You have nothing to feed them. When the war is too much, we went to our farms. When the war comes to our area, we have to run for our lives. We wanted to cross to Abia state na. Before we reached to the tarred road, Afikpo and Okigwe, the Nigerian army have crossed there. We went back to our farm….waiting for death because there is no alternative anymore. 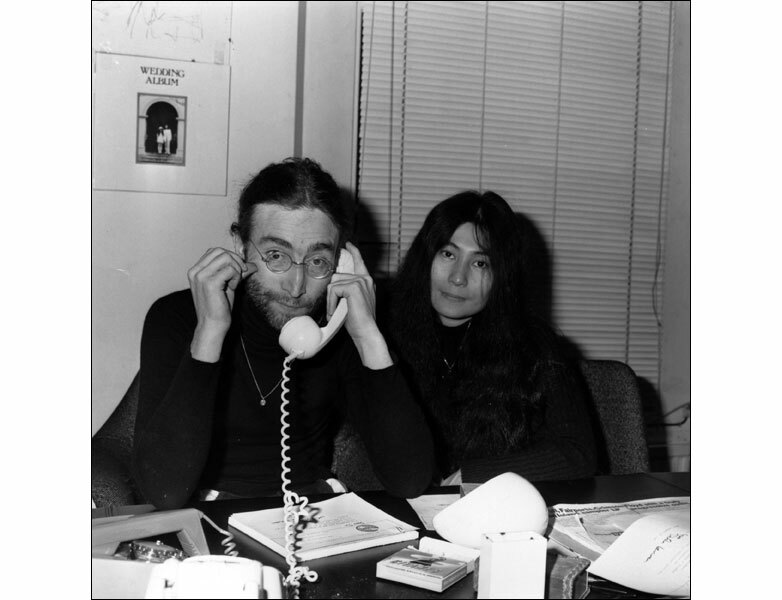 Eventually, I think by ’69, they captured us. Our elder men go to Nigerian army and surrender, that we are now back in Nigeria before they left us to come home and join Nigeria then. Biafra was still on oh, like Umuahia all over and so. We left our farm, stayed there- both rain and sun- for when that our head men, head of the community, go and surrender to Nigerian army in our village, then they said you can come and join one Nigeria. Only thatched house [on the farm where we stayed]. Rain fall, it will beat on you. Then you have had the experience what a refugee suffered for those who run to our place before we ran our own. That time, if a child cried, you say “mother give her, give him breast, give him breast.” If you’re good or anything bad, they say kill it. We don’t want to let the enemy know we are here. If a child is crying, the elder will say, “woman, give your son breast.” If you are good or anything, do any big noise or back, they say kill it. You want to expose us here. No salt. We were eating without salt. If you can cook a big food like this only one small spoon of salt. You don’t put in the pot, you just take it like put on the plate because there’s no salt at all. [Refugees from Agwu, Enugu State] came to stay with us. They ran to our place. We accommodate them because we know they are in problems. 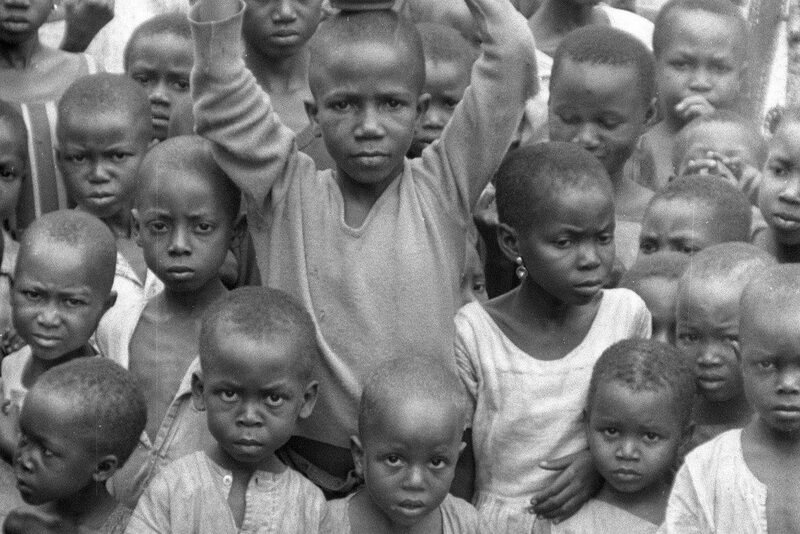 They looked rejected…see your child dying of malnutrition. No medicine. Those our mate, we play–you know children are different people. We still play football sometimes with them [the refugees] at the village square. In case there’s a lot of plane coming to coming for bomb, everybody will run. When plane came, they roam over our village to Otulu and bomb there. They [refugees] do stay one place. They can’t move. Sickness. Terrible sickness. Malnutrition. You see their foot will swell like this. Their hands will be this. Their head will be like this. They can’t do anything. It’s only the healthy one. During that time, none died. We accommodate them [the refugees]. When we have some food we share with them. We share with them. During the Biafran era, when they started conscription of young men, we were then in Nigeria. We have run, during the time they are in our place Biafra, the army start conscription of young men again. We are from Ishiagu. We went to cross through their bush part to Abia that is Ugwueke Abai. They moved to, military troops are here. Run from Afikpo to Okigwe. We know that you can’t cross there. They will see you. Have to run back to our farm [which fell under Nigeria] when we surrendered. When the Nigerian army captured us, you have to surrender now. How can you fight the military with bare hands? It was one fateful evening like this [that they captured us] a lot of gunshot. We see refugee flooding. They say the Hausa people are coming oh. The devil are coming oh. Nothing we can do again. It was 1968. 1968 that our area fall to Nigerian army. Then from Umuahia upward, still Biafra then. The first day I saw rocket, they fire rocket to our market. It cut one girl’s hand. That girl is still alive now. The girl, then. She’s now living with her one hand. That rocket cut off her hand and cut off palm trees. It cut an entire palm tree and it come on the market place. But except that girl, no other person that was killed. Only rockets they fire to our place. Bomb. The plane run over our community to Utulu… There’s a Biafran emergency takeoff plane, that was emergency plane then. Emergency plane takeoff. They’re managing it. So they want to spoil that place that Nigerian army to avoid them landing anywhere. We stayed there [in the farm] not so long before the community head go and surrender to Nigerian army. We return home and stay with Nigerian army. They said “hai Ojukwu Ojukwu, hai Ojukwu Biafra son. Ojukwu don suffer you.” Them dey pity us. Sometimes we go to their camp, they give us food. Ha, you have suffered. Your people don suffer. But they are accommodating oh. They’re not like as it is now. My uncle. It was terrible. It was 1969. That time we were in Nigeria there. So where we live at the marketplace, the Nigerian army destroy their foodstuff there. 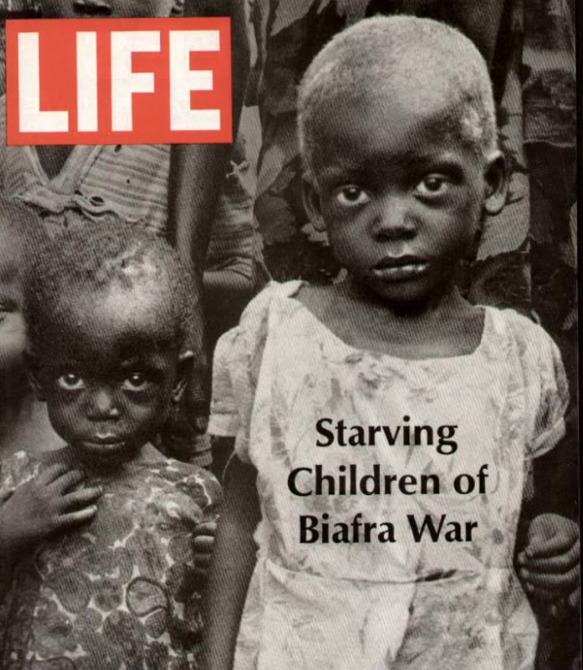 From nowhere the Biafran soldiers come at the night to carry food. They saw that my uncle. They took him. From that 1969 till today we don’t see him. That is why I stopped school after the war. I stopped going to school after the war. He is the person training me in school. That is why I start from primary four which I was in 1966 . I have suffered a lot. Till date, we’ve not seen his body. We don’t know anything about him. A young man. He was told not to join army. He agree. Not to go any attack market. He agree. During that night, he was in the market planning in the morning he go back to farm with his family. They come at the night then took him, till date, we don’t know. There is in our village, four chiefs. Time will come back from the farm to surrender to Nigerian army. They want to know if our traditional ruler is safe but four elder men to eighty years did not return again. 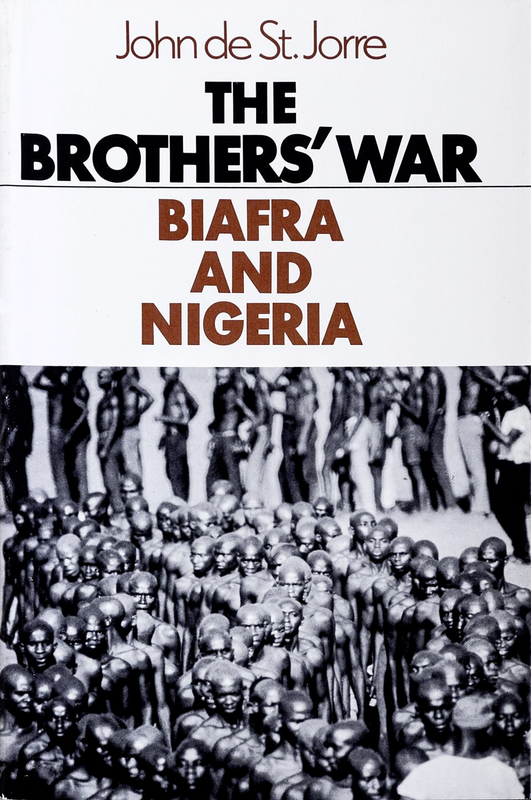 The Biafran saw them with leaflet of one Nigeria. Leaflet, [that] the plane dropped. Those elder men, up to eighty years old. They were forced to dig their grave and they were buried alive. We don’t see their corpse. Only one person among them who said my children, I saw Nigerian soldier. They tortured him. He came home but later died. …After waiting for them for long, he come and pour the story then they do the burial ceremony. There’s a time we saw many corpse littered. We were, we were very frightened every day na. You can’t eat now. When you hear the plane cross, fight or bomber or any artillery, your food will digest in the minute. You go to toilet in the day. It’s a terrible thing. That day we left our home and ran to the farmland [was the worst day for me] because there’s a local bridge. You go up there and people entering with very much crowd. It break. That is the reason people were drowned, then the people at the other side have to go back. The bridge have cut. We go there. I saw it. It’s a big one [body of water]. Ivo river. That’s where we got our local government name. They [people] got wounds, but no one was drowned. But people help to rescue to them. Those who were divers. We were at the other side. We have not passed. As it collapse, everybody will drop. There’s another diversion [that we took]. Another bridge, local bridge, farmland bridge. [My mother] encouraged us that one day this war will stop. Eventually one day, we heard that the war has ended. It be like a dream. But when the Biafra are coming home, they say they told us that I was told that no victor, no vanquished….say why Biafra is coming home. No one hold his gun while these people are holding their gun. Say no victor no vanquish. I don’t believe no matter my age. Why this one coming empty-handed, this one is carrying gun. [Living on the farm] when you want to cook you go to the river and fish and fetch fish. Use our net to go and catch fish, ‘cause we have no money to buy anything. We have hook na. We are grow in village. We put it either soap or so. Go to the river put it and that something happen that time. If you go to the river, you no come back empty-handed. If you go to a hole, you’ll see many crabs while normally crabs only one. If you kill one tomorrow you will come you will see again. There’s mushroom everywhere. Even the one I’ve not seen before. When you plug it, you give it name and go and cook. We are in the farm, we have rice; we have garri. It’s only like condiments is what we suffered. Na only salt. There’s palm trees, only salt [that we lacked]. Yeah, in all this what I advise people now, get the peace. Get nothing like war again. I don’t pray to see war twice in lifetime. It’s terrible. You can see it in the cable and see what our people have suffered. You know, radio was always on. And the radio said that the war has ended. The Biafra has seized to exist. Ojukwu went exile. 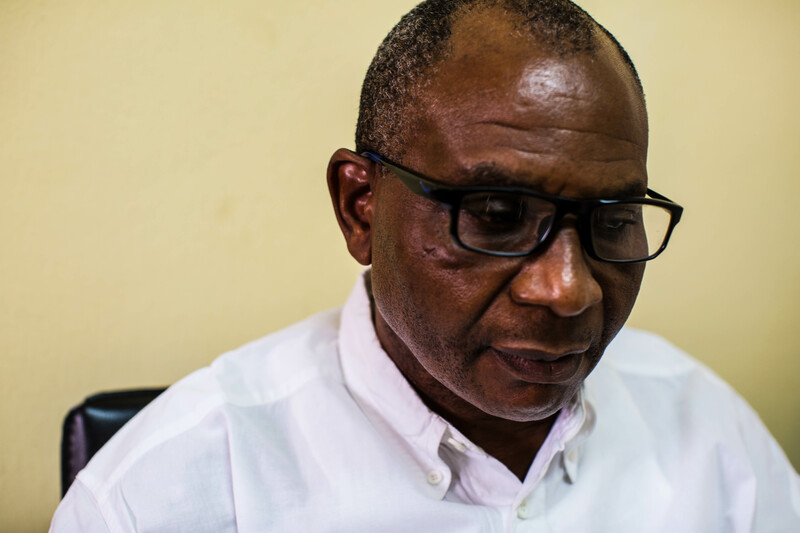 That his command, General [Philip] Effiong, is the person who go and surrendered. And people, we saw our brother coming, those who not die in the war. They are coming home. He [my father] told me that Ojukwu has ran for his life and now in exile and the Nigerian army has win so Biafra has seized to exist. I have a bunch of Biafran money but now it’s not legal again. I feel happy [when the war ended] because what we suffered then that time we surrendered to Nigerian army, Nigerian army come to our village, if he saw a girl or somebody wife, they took the woman by force. The woman is saying I’m married. I’m with children.